If your car is your pride and joy, give it a home to be proud of with Hammerite Garage Door Paint. Specially formulated for use on metal doors, it provides a beautiful gloss finish that’s highly resistant to flaking and discoloration. Easy to apply to vertical surfaces and sag resistant. Tough, durable high gloss finish for metal and wooden garage doors. Reduces runs when applied to vertical surfaces. 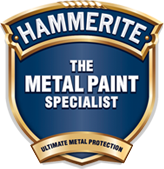 Hammerite High Heat Paint Aerosol is a durable, heat resistant protective finish specially formulated to withstand temperatures up to 600ºC, making it ideal for fire surrounds, guards and boilers. Developed to resist cracking and flaking. Available in 400ml aerosol. Durable, heat resistant protective finish. Transforms rust to a sound surface in 15 minutes. Ideal for small areas of rust, stone chips and scratches. Kurust rust paint is available in a 250ml bottle. Can be topcoated after only 3 hours. No primer or undercoat required. Hammerite Kurust Blister is a water-based rust-converter primer to stabilise rust prior to topcoat application. The 90ml blister pack is ideal for stonechips and scratches and is simple to apply – no need to rinse off. Do your metal objects suffer from small areas of rust, stone chips and scratches? The Hammerite Kurust Stone Chip Pencil is ideal for that. It transforms rust to a sound surface in only 15 minutes. 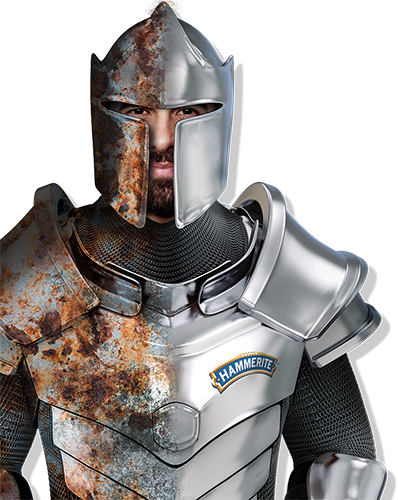 Hammerite No.1 Rust Beater provides a high build finish to heavily pitted areas of rust and prevents new rust forming. This rust proofing product kills rust, primes and undercoats all in one. Hammerite Radiator Enamel Gloss is a heat resistant high gloss finish for water-filled radiators and hot water pipes. Easy to use. Looking for a heat resistant satin finish for water-filled radiators and hot water pipes? Hammerite Radiator Enamel Satin is ideal for that. The satin finish can easily be created and lasts long. Specially formulated to provide a heat resistant brilliant white finish on any water-filled household radiator and hot water pipes. Provides a tough long lasting finish. If satin is your finish of choice, than this specially formulated Hammerite Radiator Paint Satin is ideal for you. It provides a heat resistant brilliant white finish on water-filled household radiators and hot water pipes.